For twenty years Carbow has shown that its carbon bows are able to compete with the best wooden bows. For twenty years we have been continually improving our composite sticks, drawing on the experience of master bow-makers and using the best in calculation software. But above all, we owe our success to the passionate dialogue we have established with bow-makers, artists and renowned performers who are just as demanding as we ourselves are. Many of them have become our friends. We have spent hundreds of hours together discussing tone, timbre, power, ergonomics, inertia, agility and many other aspects, but with one overriding focus: the quality of the music produced. We shall be telling our story on social media throughout 2016. And to celebrate our 20th anniversary, we are proud to present our latest innovation: Carbow’s ‘Up & Down’ range. 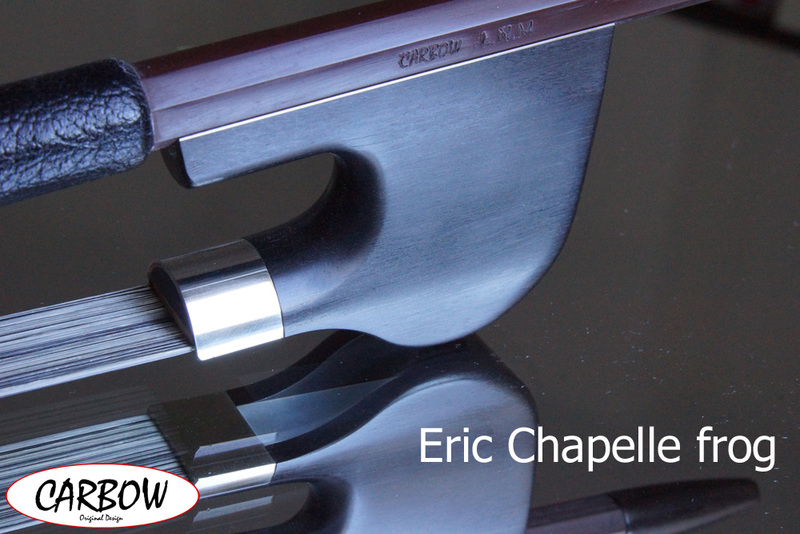 This is a range of revolutionary bass bows with a combined French-German frog, devised by Eric Chapelle, which allow the player to switch between the two playing styles.